Vlad appreciates your feedback, comments and emails. Your support propels Vlad to continue posting. 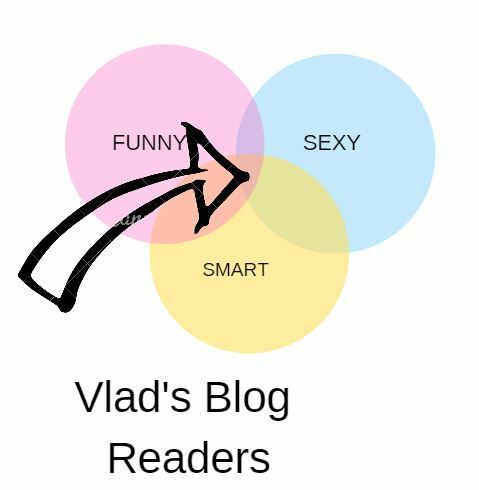 I was checking traffic on my Google Analytics today and while looking at Audience/ Traffic breakdown; It didn’t surprise Vlad at all when Vlad found Google telling what kind of people follow this blog. Anyway coming back to the serious topic; today Vlad has important piece of revelation for his followers. You guys remember Vlad when he reviewed Anil Margin’s course; Vlad said that the course had nothing unique except MACD wave counting. Well today; a very senior trader of Anil Margin contacted me and said that even that part is not of Anil Margin. MACD wave counting had already existed in market long ago; Anil Margin simply plagiarized it and started pitching it as “some secret” in weekly outlook and when he was unbanned in tradingview. He gave Vlad this link from which Anil Margin plagiarized MACD wave counting. Vlad himself had heard Anil claiming to be inventor of MACD wave counting innumerable times in TR and Weekly Outlooks. Anil Margin told this fake sales story many a times how he stumbled upon MACD wave counting while playing with hidden bullish and bearish divergences. Well turns out that story was a bunch of bullock. Vlad is in total shock. Vlad needs water and air. What do you guys think about this new scandal? Do you think Anil Margin should now pitch MACD wave counting as lure to unsuspecting traders? Vlad waiting for your feedback. Watch out Vlad, you’ve just given away Anil’s intellectual property, you’ll be sure to see a law suit soon! I too have heard Anil say many times that he came up with this, and do you know what, even if he did, it doesn’t matter because it doesn’t work when you’re trading live. The MACD crosses many times and if you start counting it you’ll soon discover that you can have 7, 9 and 13+ waves in an impulse. A simple method and more useful method, run 2 MACD’s. One MACD is a higher TF, that’s your bias for long/short. If it’s up, you’re only looking for longs. When the current TF MACD pulls back, then that’s your time to look for entries and a continuation of the move. Works well and is super easy.